Where is Art going and where has it been? 2. One kind of hearing dropped away, another rose up to fill its place; my blighted auditory canals bristled with roses; I was becoming-medium, what Kim Hyesoon calls Hearing the Abandoned. I could no longer fantasize myself a ‘font’ of art, a creator, an originator, as all my Anglo-American training had tried to authorize me. I am a medium for Art—a medium in both the occult sense and in the technological sense—Art passes through me, becomes formal, communicable, then goes elsewhere, then it’s gone. I don’t know what it is, but I know when it’s gone. 3. This unauthorized way of thinking led me to think of Art in infernal and upsidedown ways—that Art comes not from on high but from Hell, is not orderly but counterproductive, that it seeps, that it influences, that it pollutes, contaminates, exhilarates, intoxicates—that it fluctuates, that it swoops from minus to plus and back again, or occupies all these poles at once. A doubleness, a dubious Sublime. I wrote The Necropastoral under this influence. 4. But lately I’ve been thinking about the intensity of lyric poetry, its hook, its snare, its barb, its whatness, that something else that makes a mere draft an actual poem—I don’t know what it is but I know when it’s gone. That surplus is also, contradictorily enough, essential. An “essential surplus” is a contradiction in terms, a paradox—and another definition of the Sublime. The Sublime activates both sides of any binary. The double activation of a binary produces an irrational (non-Cartesian) bolt of energy that is infernal, political. Another name for this bolt of energy is Art, or, the Virtual. 6. We can read the last line of “Bright Star” as a riddle. Syntactically, it appears to set up alternatives which must be chosen between—live or die? Yet the em-dash really communicates, to me, a state of bothness: The speaker will both “live ever” and “swoon to death”. This is the thrill, the intensity, the charge of the final line—and to those susceptible to its drug, it is indeed swoon-inducing. What we really have in the last line is an impossible and/or, the Sublime, a lyric intensity, the virtual. One answer to this riddle is lyric itself. Lyric is unnatural, an infernal, Sublime escape pod from normal mortality, allowing the voice to live on, issuing ever in an undead state—“And so live ever”, swooned to death. 7. But there is a second answer to this riddle, much less abstract: the tuberculin bacillus. Mycobacteria tuberculosis. It is this bacterium that killed Keats. It is this bacterium, autumnally ripening in the breast, that actually answers the call of this riddle—fulfilling both conditions of the final line and enabling Keats both to live forever and to swoon to death. Infernal and/or. The Sublime, the lyric, and the toxin all become bio-identical here, supercharging a would-be binary. And/or they become thanato-identical—identical in the paradoxically foreclosed and horizonless space of death. 8. The Toxic and the Lyric. The Toxic names the intensity of the Lyric. The Toxic names the posthumous potential of the Lyric. The Toxic names the Sublime potential of the lyric.”The Toxic and the Lyric” forms a Sublime binary, with both sides paradoxically activated. 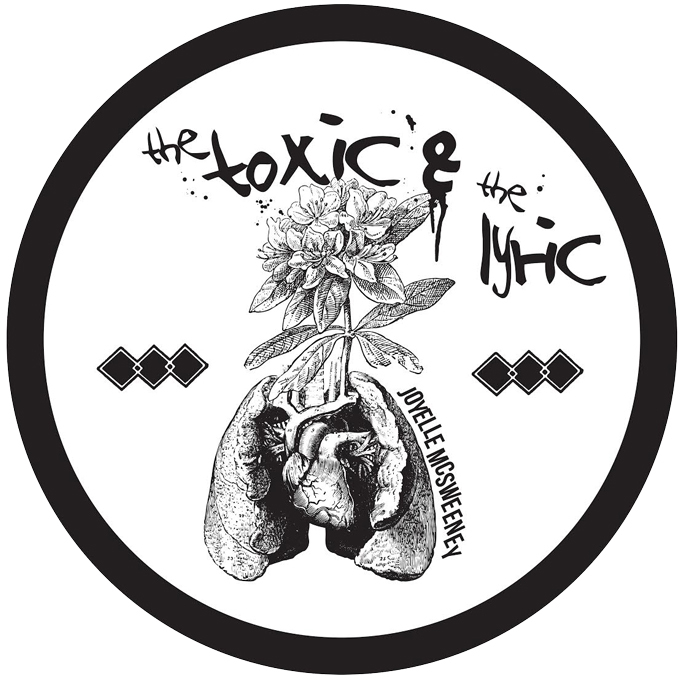 “The Toxic and the Lyric” is an infernal and/or. The Toxic and the Lyric is an infernal Engine. It is the Engine of Lyric Intensity. Image header by Andrew Shuta.